Located in Bloomington, Illinois, this is my favorite local yarn shop. Le Mouton Rouge carries a wide variety of independent and commercial dyers, as well as great knitting accessories and notions. Visit online or in person. 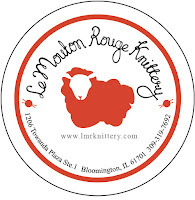 And if you're in central Illinois on April 21st, come celebrate the first LYS Day with other knitters from the area. 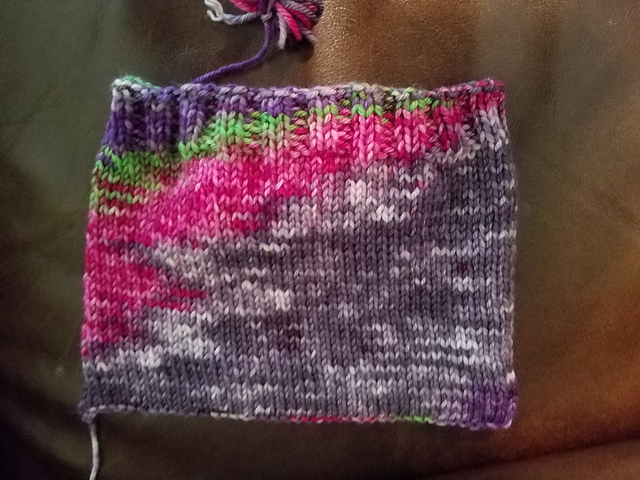 Come on over to the Ravelry group and enter to win a gift certificate to Le Mouton Rouge Knittery by following the prompt over there. Please make sure you are a member of the group to enter. One entry per person. 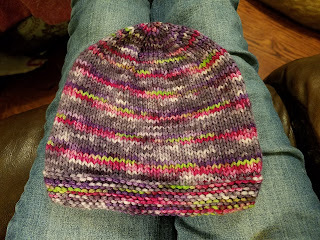 Kim's Hat for Alyson's granddaughter in Last Minute Knitted Gifts. 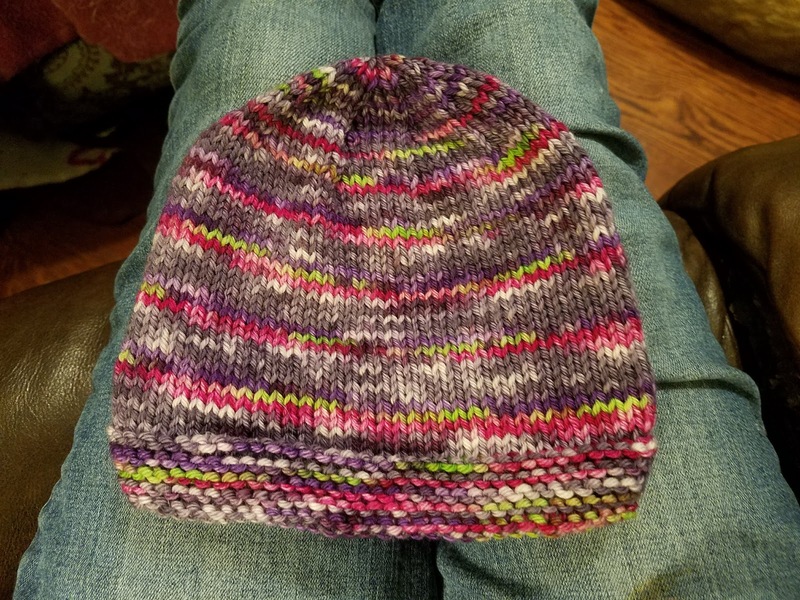 Yarn by Spartickes Dyes. Project page. The Quarterly Goals KAL continues, and I announce prizes for the first quarterly goals winners.